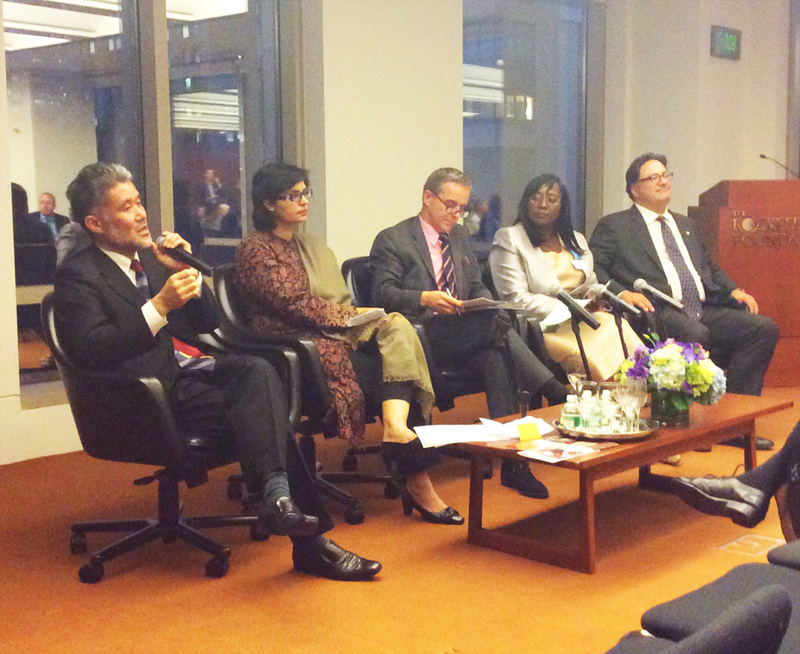 September 29, 2014: Management Sciences for Health hosted a unique reception in honour of Universal health coverage on the side-lines of the UN General Assembly in New York last week. The reception was part of series of events, which were held throughout the week to advocate for the inclusion of UHC targets in the Sustainable Development Goals framework. 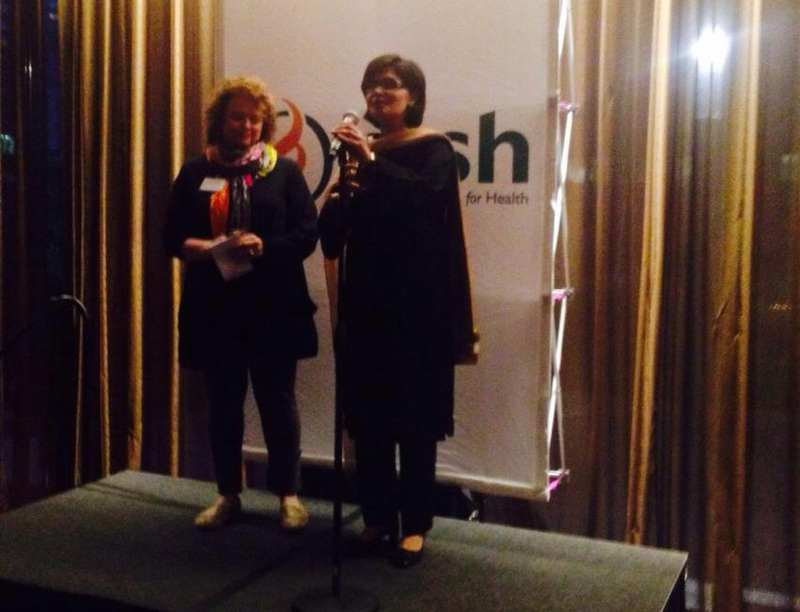 A group of global health thinkers offered a “toast to UHC”, at the Riverpark on Wednesday, September 24. Amongst the toasters were Ariel Pablos Mendez, Michael Myers, Laurie Garriett, Tim Evans, Jeff Sturchio, Minister of Health of Rwanda, Yvonne Chaka Chaka and our president Sania Nishtar. It was remarked that the “event was UNGA week’s most entertaining global health event. 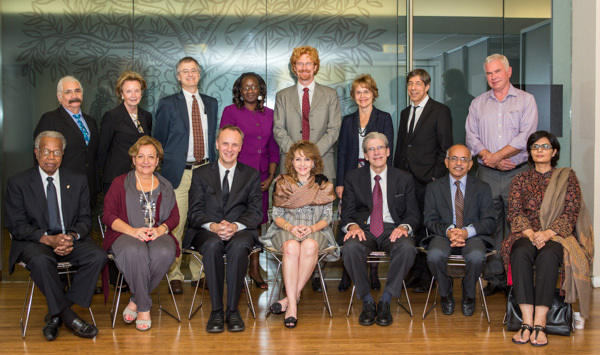 September 26, 2014: The Harvard Global Equity Initiative-Lancet Commission on Global Access to Pain Control and Palliative Care (GAPPCP) held its first meeting in New York on September 23rd on the side-lines of the UN general assembly. Commissioners including Felicia Knaul, Julio Frenk, Richard Horton, Dean Jamison, Rifat Atun and our president, Sania Nishtar attended the first commission meeting. The Commission aim to identify opportunities for incorporating pain control and palliative care within health reforms to strengthen health systems and achieve effective universal health coverage and propose health systems strategies that harness national and global platforms. September 25, 2014: This year’s opening meetings of the UN General Assembly marked a pivotal moment in global health, as formal negotiations began on the post-2015 development framework. Ensuring the place of Universal Health Coverage (UHC) in the post-2015 health agenda requires on-going advocacy from the many stakeholders. Within this context a high level event was hosted by Columbia University in New York on September 23rd. Invited speakers included Jim Campbell, Professor Jeffrey Sachs, Minister of Health of Zambia, Michael Myers, and our President Sania Nishtar. Experiences were shared from around the world about converge and entitlements in UHC from the health worker lens and the manner in which progress is being made in different parts of the world in expanding coverage through modifications in the outreach and mandate of health workers. 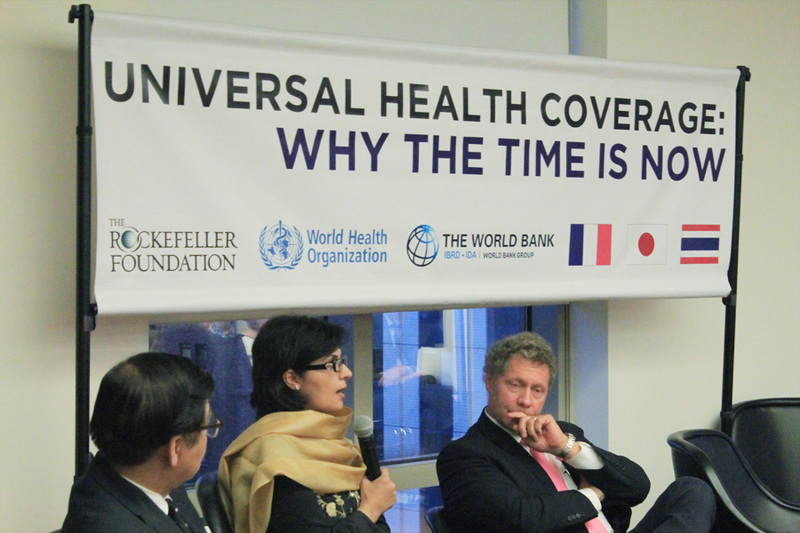 September 24, 2014: The Rockefeller Foundation hosted a UN general assembly side session on Universal health coverage on September 22 in New York to reiterate the importance of investing in UHC. Recalling that 1 billion people have never received basic healthcare and that 150 million suffer from financial catastrophe in the process of paying for healthcare, the need for urgent action was reiterated. H.E. Fumio Kishida, H.E. Annick Girardin, H.E Phuangketow, Seth Berkley, Richard Horton, Ties Boerma, Tim Evans and our president Sania Nishtar spoke at the event. September 23, 2014: Heartfile is proud to be amongst the 50 founding supporters of Universal Health Coverage Day, which will be observed on December 12, 2014. The day is intended to be a global show of solidarity towards the Health For All movement. The announcement was made at the Rockefeller foundation in New York on September 22. The announcement states “Two years ago on 12 December, the United Nations unanimously endorsed a resolution urging governments to ensure universal access to health care without financial hardship. On 12 December 2014, a global coalition will call for universal health coverage to be a cornerstone of the sustainable development agenda and a priority for all nations”. Further details can be accessed here.